Here's the good news: we understand your questions. We have answers to your "what-ifs" and we're right here with you, every step of the way. 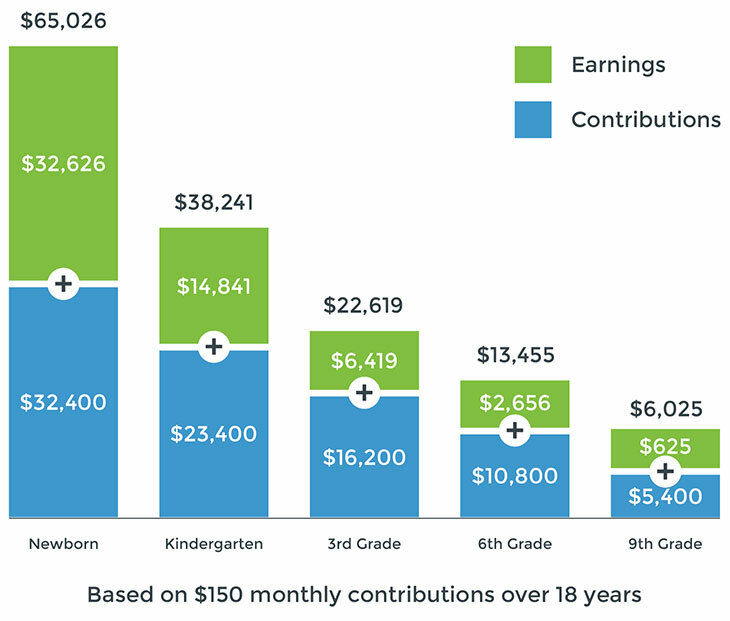 *This chart illustrates an investment of $150 a month on the first day of the month into a college savings account that earns 7% per year, compounded monthly until the child is 18 years old. This hypothetical is for illustrative purposes only. It does not reflect an actual investment in any particular college savings plan or in the NEST 529 Direct Plan. Save as much as you can afford. Very few families can afford to save the entire amount of a child's college education so save what you can afford to. Your situation will change and you can always increase contributions later. That's fantastic. However, most students do not get full scholarships, and most families cannot afford to save the entire cost of college. 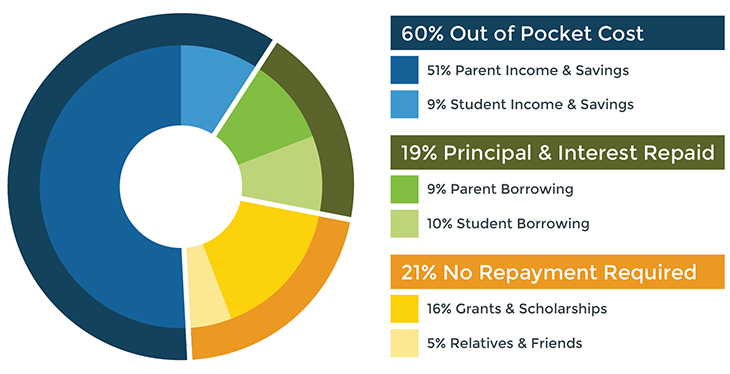 Your plan to save for college should include income, savings, scholarships, loans and help from friends and family. And if your child does get a full scholarship — great — you can always use the money you saved for another child.